Hello everybody, and a Happy Halloween. I am posting this today because tomorrow (October 31st) I won’t be in. After an absence of several months I have decided to again post articles for SciFiEmpire.net. I know that some readers will know that its my 3rd restart in as many years, but I don’t care or otherwise I would not be writing this. I suppose the summer period is always a bit of a drought, one that this year took longer to get over. But with the changing seasons – and my tendency to stay behind the computer longer – I just feel the urge to start writing again. So what is new? Well, I have planned a schedule for the remainder of the year. It is not too busy, just 2 articles per week. I think that way I can optimize my work output without blogging like it is a chore. That is fun for no one, especially the reader. Most readers of this website will know that I post more than just about Science Fiction, even if it is my bread butter. I also write articles on Computer Science and amateur writing. Well, this fall won’t be any different. Readers can expect reviews of Red Moon by Kim Stanley Robinson, Exapunks, The Girl in the Spider’s Web and Fallout 76. Later on there will also be coverage of my favorite TV shows, both set in Berlin: Counterpart and Berlin Station. Between these reviews I intend to post articles on Wi-Fi Hacking and the AIY Vision Kit. As well as the game Post Scriptum and a retro review of Uplink. Meanwhile the second edition of my computer book on Linux programming is coming along nicely. The Wi-Fi hacking article is a part of that book so readers can expect more updates before the second edition is released on December 31st on Kindle. 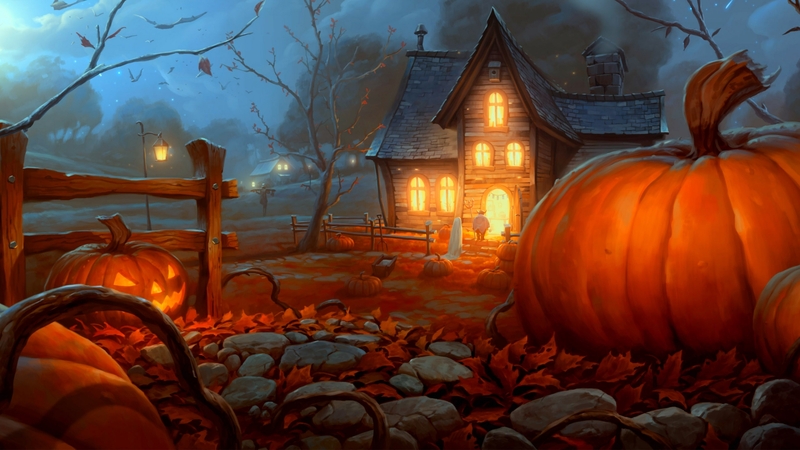 For now I wish you a Happy Halloween, which I think is the unofficial start of the fall season. Next story Exapunks Review – learn to program while gaming!